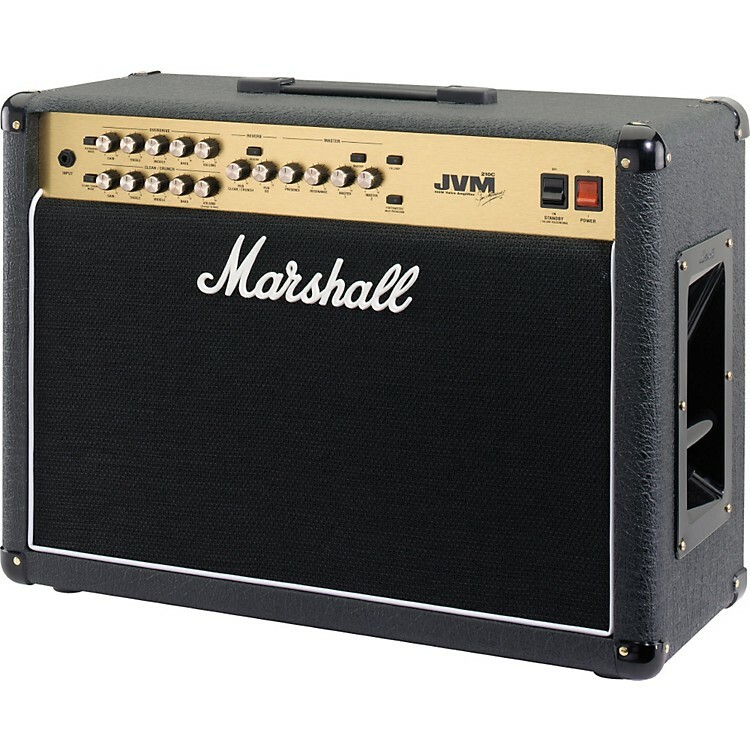 In a nutshell, the Marshall all-valve, 2-channel JVM210C combo is a 2-channel version of the most versatile Marshall amplifier ever made, the JVM410C. It also boasts more gain than any other Marshall to date-and that's really saying something. The JVM210C has studio-quality digital reverb with a level control for each channel. This is also footswitchable, as are the amp's 2 Master Volume controls and the Series/Parallel effects loop. Resonance and Presence are equipped with master controls. An ingenious footswitch (UK patent pending) and the fact that all the amp's switching (channel/modes, Reverb, Master Volume selection, FX loop) can be done via MIDI and you're looking at an incredibly flexible amp. The 4-way footswitch boasts LEDs and memory, plus it connects to the amp via a regular guitar cable. From the cleanest clean to the filthiest distortion ever found in a Marshall and all points in-between, the JVM210C all-valve combo will give you whatever tone you need right when you need it.